Choosing an engagement ring design involves finding a ring that fits your budget and lifestyle, blends well with the wedding band, and makes you happy. 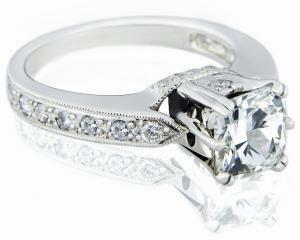 You need to evaluate the engagement ring's stone and setting, as well as the band type and metals used. 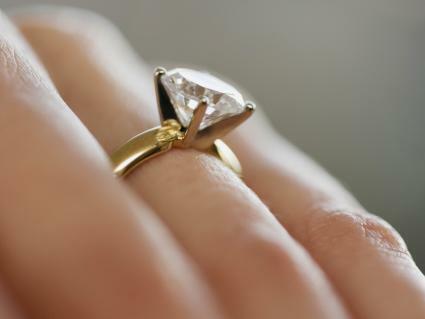 Learning about basic engagement ring design makes it easier to find the perfect ring. Whether you buy a pre-set engagement ring or design your own from separate settings and gems, there are several important elements to consider. 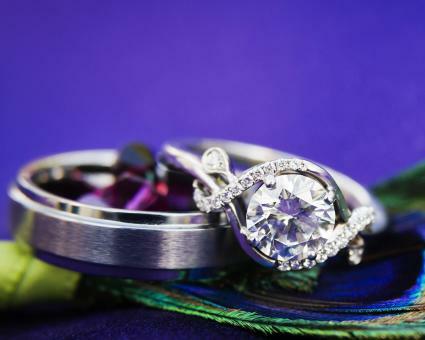 Each of these basic aspects will affect the overall engagement ring design, so it's essential that you understand these factors before you make a decision. 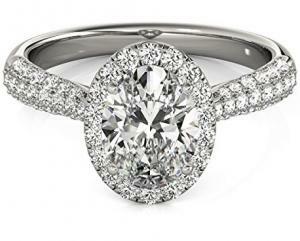 One of the most important elements in the design of any engagement ring is the setting. Setting refers to the metal base for the gems in the ring, as well as any decorative elements that are crafted in precious metal. It serves two main functions: supporting and securing the gems and adding decorative appeal. There are a number of different engagement ring settings to choose from, including the following popular options. Bezel settings - A design in which the gem is set in a cup of precious metal, this type of setting is ideal for fragile gemstones or people who have active lifestyles. 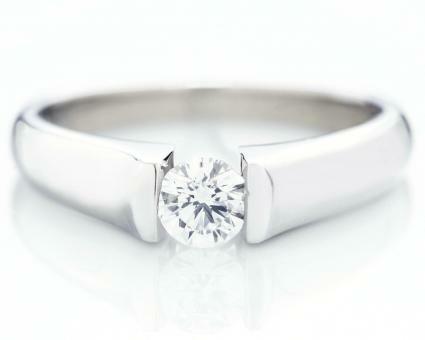 Tiffany settings - Also called prong settings, this type of design holds the gem in place with small metal prongs. It's perfect for providing maximum light reflection and refraction within a diamond or gem. Tension settings - In this type of design, the band is perfectly calibrated to hold the diamond in place without prongs or bezels. It's a modern, clean-lined choice. Channel settings - This type of setting involves a channel of diamonds or gems held in place by higher precious metal sides. 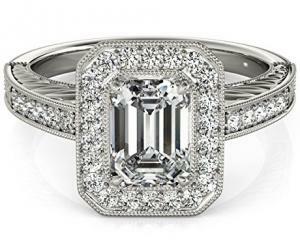 It is perfect for adding diamond enhancements to the band of the ring. 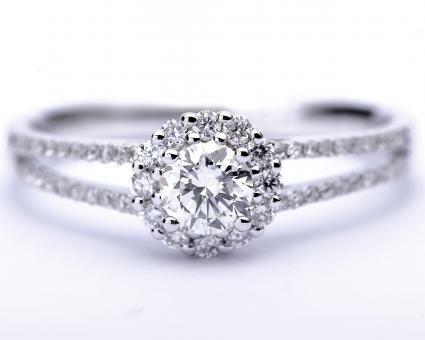 Pave settings - Typically used to give all-over sparkle to a ring, a pave setting involves placing dozens of round diamonds across the surface of a band. It's often used in combination with other settings. 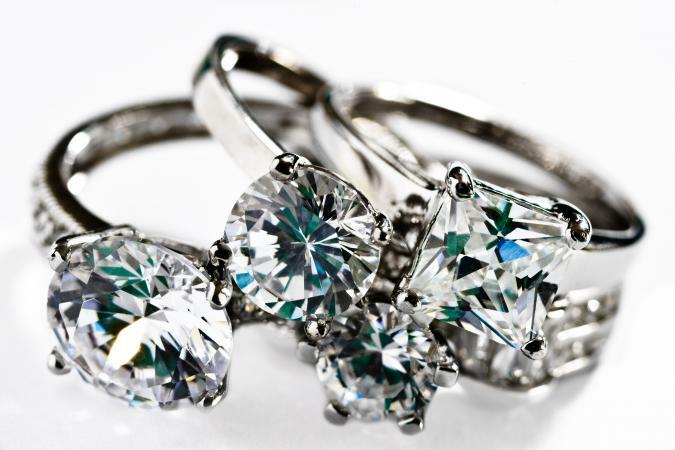 As you shop, you'll see engagement rings fashioned from many different precious metals. Each metal has its advantages and disadvantages when it comes to price, durability, and perceived beauty. Certain metals also evoke specific styles, and many brides-to-be prefer to match the precious metal in their engagement ring to other jewelry they wear on a regular basis. 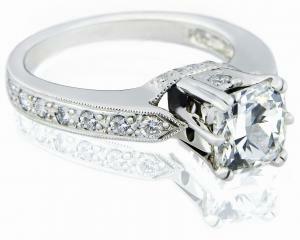 The metal you choose is a very important element in the design of the ring. Here are a few of the most popular options. Yellow gold - Available in 10k, 14k, 18k, and 24k and other parities, yellow gold offers a classic, warm choice for your engagement ring's setting. Gold is malleable, so lower karat ratings are best for designs requiring structure. White gold - Less expensive than platinum but with a similar cool tone, white gold comes in a variety of karat ratings, including 10k, 14k, and 18k. 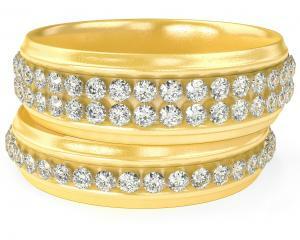 Because of gold's malleability, it is best to choose lower karat white gold for elaborate settings. 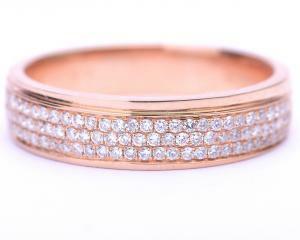 Rose gold - A pretty alternative to classic yellow or white gold, warm-toned rose gold comes in 10k, 14k, and 18k parities. It's a unique and surprising choice for an engagement ring setting. 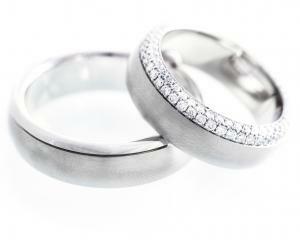 Platinum - One of the most durable and costly metal choices for your setting, platinum has a great deal of cache. It's an excellent option for elaborate settings or for ensuring the secure placement of gems. Sterling silver - Far less expensive than many other options but still very lovely, sterling silver is another classic choice. It is less malleable than gold, so it's a great material for almost any setting. 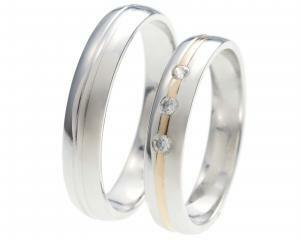 Titanium - Affordable and very modern, titanium makes a great choice for contemporary brides-to-be. It has very little flex, so it's extremely secure. However, it cannot easily be resized. Two-tone - Many settings mix two or more metals to create a unique, eye-catching look. 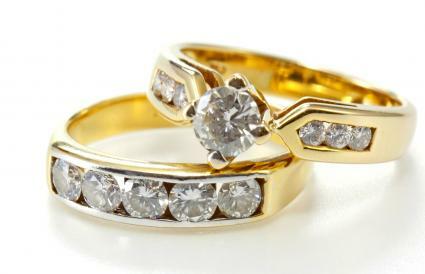 Popular combinations include white gold and yellow gold, as well as yellow gold and platinum. The band, or shank, of your engagement ring is the part that goes around your finger. The width, shape, and style of your band will affect the overall design of the ring. Some band styles are better suited to active lifestyles, while others are more decorative. The right one for you is mostly a matter of personal preference. Here are a few of the most popular. Wide band - Usually more than five millimeters in width, a wide band engagement ring offers a substantial base for your gem. It's a great, durable choice for almost anyone, although it's wise to try on the band to ensure you find it comfortable. Twisted band - A twisted band ring is a delicate and lovely choice, featuring a twisted shank that accents the center gem. This band is best for people who aren't too hard on their jewelry, since the open areas in the band may be prone to snags. Split shank - A split shank ring features a band that splits into two parts as it reaches the center gem. This is a graceful style that is both durable and lovely. 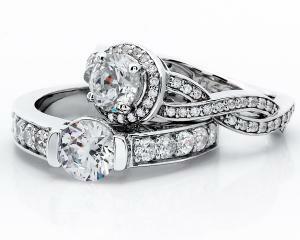 Diamonds - The absolute classic choice, a diamond looks stunning in any design. Before you buy, educate yourself about diamond grades, which take into account the stone's clarity, cut, and color. 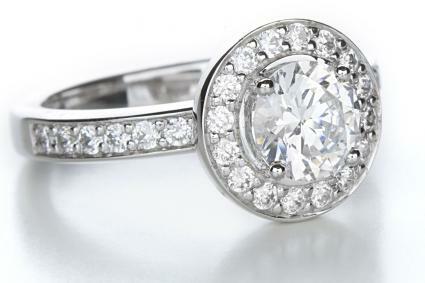 It's important to note that diamonds are the most costly choice for a center stone. Colored diamonds - Although colorless diamonds are the most popular, many people also choose fancy-colored diamonds for engagement rings. Yellow, pink, blue, chocolate, and other shades offer a fun, unique alternative when it comes to ring design. Gemstones - Rings featuring other precious gems are also popular. 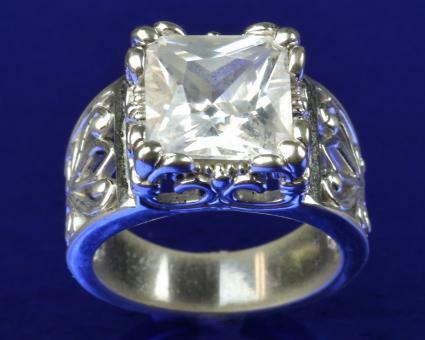 Many brides-to-be choose sapphires, rubies, emeralds, topaz, and other options as the centerpieces of their rings. Gemstone meanings, as well as personal preference, can help dictate the ideal choice. Cubic zirconia - Cubic zirconia and other simulated diamonds have come a long way in recent decades, and they can look just as gorgeous as the real thing. These options are perfect for brides-to-be who love the sparkle of a colorless diamond but don't have the budget to support a stone of their desired size. Princess cut - One of the most popular options, this square-shaped cut is perfect for brides who love classic shapes and plenty of sparkle. Radiant cut - Full of sparkle and life, a radiant cut diamond or gemstone is a great choice if you want a center stone that gets noticed. 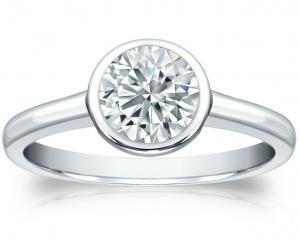 Round cut - A round diamond or gemstone is a classic choice for any ring, and it will never go out of style. If you love traditional jewelry, this may be the shape for you. Oval cut - An oval center stone offers a variation from the standard round cut, and it looks lovely in many designs. It's a fun twist on the traditional. Emerald cut - This simple, rectangular shape is ideal for showing off the clarity of a gem, and it's perfect for brides who have a classic, understated style. 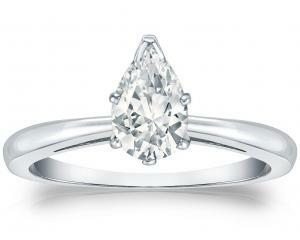 Pear shape - A pear-shaped gem is a beautiful, symmetrical cut that lends itself to many different designs. It's a non-traditional choice for a bride who has a unique personal style. 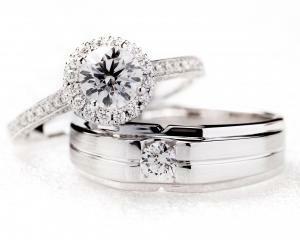 Choosing the right engagement ring design for you involves examining several factors. Keep the following in mind as you look at the many options on the market. If you work with your hands or engage in sports or other activities that might be hard on your jewelry, you'll need to look for a design that has a low profile and features durable materials. Bezel settings, platinum or lower karat gold, and diamonds or other hard gems will be among your best choices. These materials and configurations will hold up to the rigors of your lifestyle and look lovely for years to come. Engagement rings are expensive, and many couples are not comfortable spending the three months' salary suggested by jewelry advertisements. 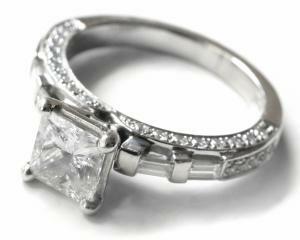 If you're on a budget, the right ring design for you might involve sterling silver or titanium, as well as cubic zirconia or less expensive gemstones. Your ring's design can be both lovely and affordable. Just because the classic diamond solitaire has enjoyed enduring popularity doesn't mean this is the right design for you. 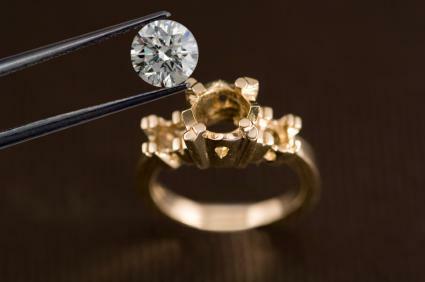 If you're hoping to stand out from the crowd, choose a colored diamond or other gemstone, or select a unique setting. In general, it's best to choose a design in keeping with your personal style. No matter which ring you choose, it helps to know a bit about the basics of engagement ring design before you head to the jewelry store. Learn about all the options so you can be an informed consumer and select the design elements that are best for you and your lifestyle.